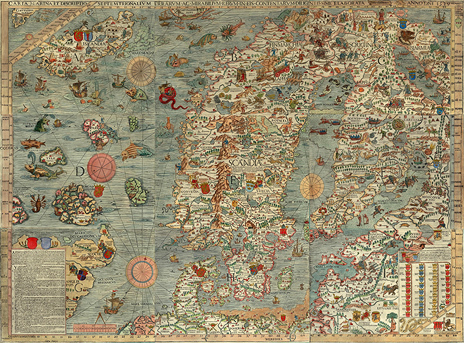 The earliest known us maps of the Europe with drawn name "Carelia" were composed by Swedish Catholic bishop Olaus Magnus (1490-1558) in XVI century. 1539. Carta Marina et Descriptio Septentrionalivm. 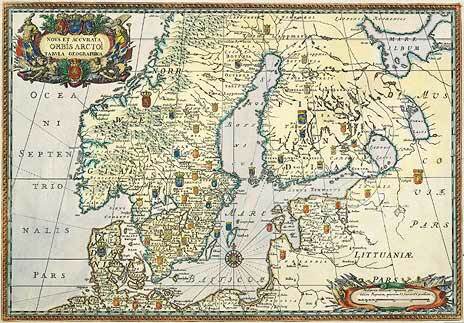 Carta Marina was issued by Magnus as wall-map in 1539. 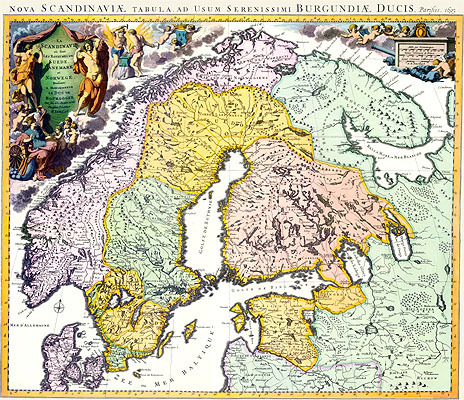 The large lake in the north-eastern corner of the map – Ladoga Lake – was united with the White Sea in whole. 1565. Historia delle genti et della natura delle cose settentrionali. 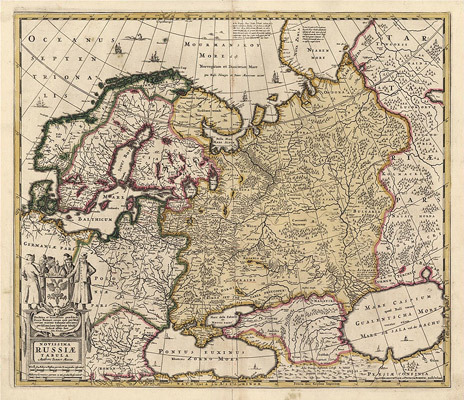 The first issue of History of Northern people (Historia Gentibus septentrionalibus) appeared in 1555. 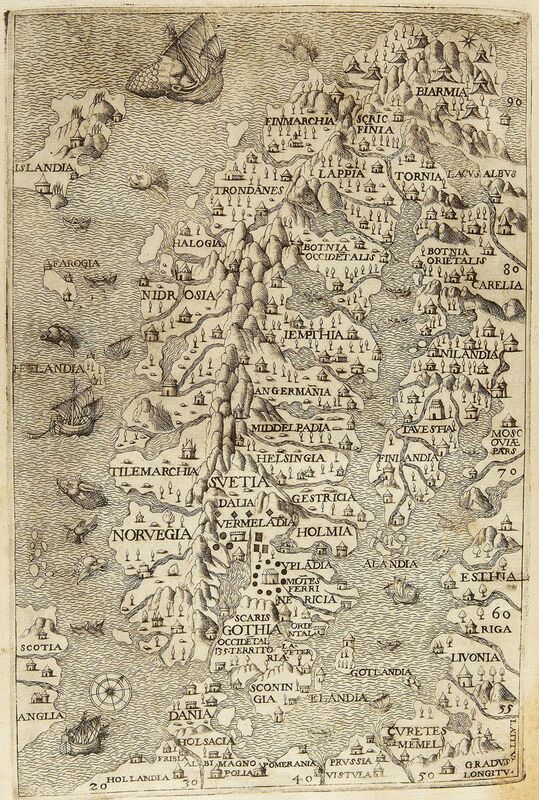 Here is a part of Magnus's map from Italian reprint of this book in 1565. 1695. 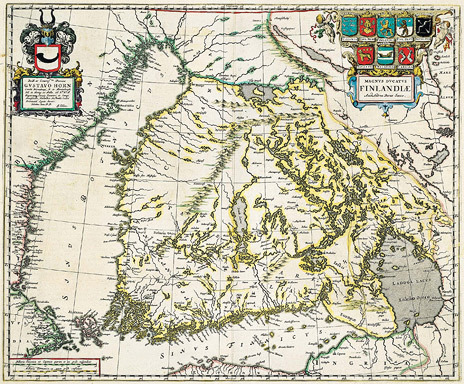 Nova Scandinavia tabula ad Usum Serenissimi Burgundia. 1696. Nova Et Accurata ORBIS ARCTOI tabula geographica.